Our diaries are all handmade and come in six different sizes. An address section is included at the end of the book block for your most important contacts and phone numbers. Each book block is thread stitched and made from premium cream writing paper. As a special feature, the 17x24 cm diary (weekly planer) contains additionally a folding coloured map of the world. 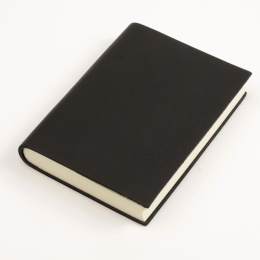 Also available from the CLASSIC series are notebooks or sketchbooks as well as address books. CD sleeves made from sturdy patterned paper from the MARLIES series. 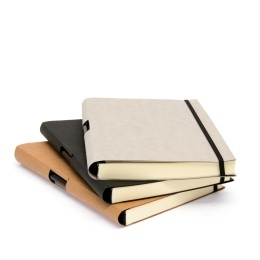 Simple and classy notebooks featuring an open rim leather cover.